Hehe...I saw this one :D It's nice. nice BG. I like it. nice, its cool to see you makin walls again! really dig the bg. Good job! dark, depressing wall. looks great! like i said great wall bamboo, love the mood. Mostly I like light colored WP on my desktop but this is so dark and brooding I have to love it. Great job. omg!!! thats rip van winkle from hellsing isnt it!!!!??? wow!!! this wallpaper is the best ive ever seen!!!!! and pu-sama is so talented too!!! im no artist, but i know an excellent wall when i see one! ^.^!! That's a great job , Bamb0o-Stick's . Whoa. 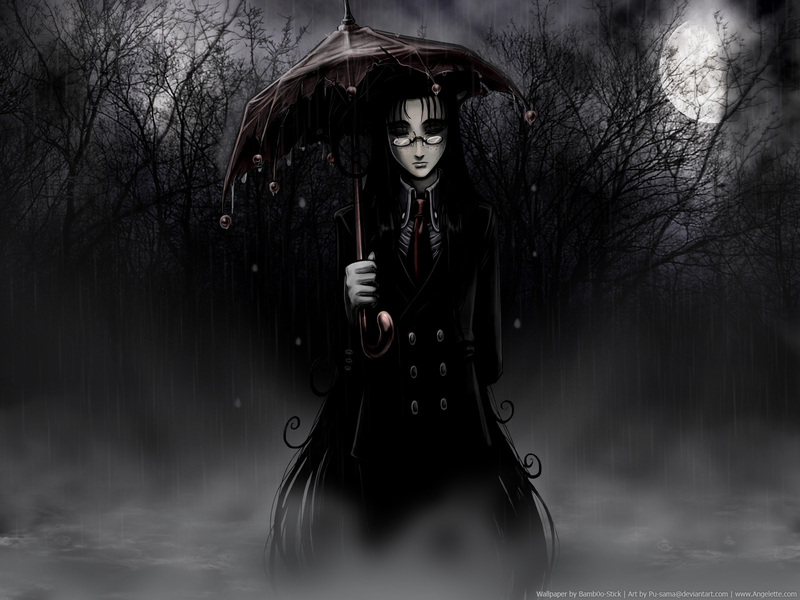 I'm not really into wallies with that goth/dark feeling, but this one is so nice that I can't help loving it. The BG trees and moon are fantastic. I have located you Bamboo stick!! Nice wall yet again as i will add it to my favs list.